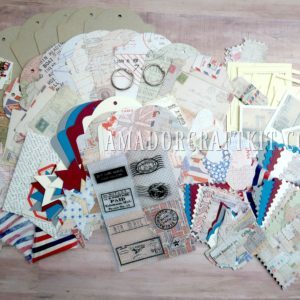 All of our kits and products have been hand selected and assembled with love and excitement for crafting. We hope you love our kits and products as much as we like making them. If you receive your kit and you are not completely satisfied please contact us to make return arrangements. You would simply ship the item(s) back and we would gladly refund the price of the item(s) you purchased. Unfortunately we are not able to refund any shipping costs. Your refund will be processed once the item(s) have been received and reviewed. We would be glad to offer you a credit for the original shipping cost towards your next purchase of item(s).